We said goodbye to a loved member of our wider whānau recently – Jozie Karanga (Whakatōhea, Tūhoe, Ngāpuhi, Ngāti Porou), MNZM. Hāere koe e Kui ki, Te Manawa Tawhē kaua e hurihia, Haere koe ki te Pikopiko i Whiti, Piki ake ki te Tihi a Mānono, Ki te Wharekura o Matangireia, Haere e Kui, Haere, haere, haere, Ka oti! A founding member of the E Tū Whānau Māori Reference Group, Jozie was on board with our kaupapa from the word go. She remained one of its staunchest advocates. During a conversation with film maker Emma Robinson, Jozie was clear that a strong whānau was fundamental to the health of a community and all who are part of it. “….That’s certainly been [the focus of] my life – to ensure that we remain connected as a whānau within the haukainga and to our marae and our hapū. [To ensure] that my mokopuna know who they are, they know where they belong, that they are connected to their whenua. Jozie started her career as a teacher, became a regional education advisor and had extensive experience in capacity building within Māori social and health services and in developing the skills of whānau working within them. 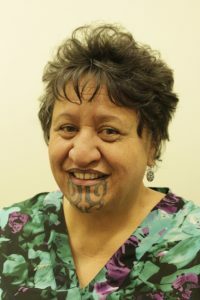 She sat on the board of Te Papa Museum from 2001 to 2007 during which time she made a significant contribution to the development of Māori protocols and exhibitions of taonga Māori. She was made a member of the New Zealand Order of Merit for her leadership of whānau and community development in the 2011 Queen’s Birthday Honours list. Jozie was Pouarahi (CEO) of Te Korowai Aroha o Aotearoa, an indigenous qualifications authority working nationally and internationally to strengthen cultural sustainability for indigenous peoples, for nine years. Her friend and current Pouarahi, Moerangi Rakaupai says the core of Jozie’s belief system was her absolute commitment to her whānau, hapū and iwi. “Her face was seen amongst her people – kanohi kitea. She was on many of the committees. She could be seen at many, if not all, of the celebrations on her marae. She would attend many of the tangihanga. She saw this as a sacred duty. “She was a defender of the Māori people, a great defender of the indigenous mind and the struggles of indigenous people the world over. “…the E Tū Whānau kaupapa focuses on the greatness of Māori whānau and our innate ability to find within ourselves the resolution to any issues we may have. That includes the pressing issue of violence towards whānau. It is unacceptable within Te Ao Māori and the Charter of Commitment states that loud and clear. Te mana kaha o te whānau!” – Jozie Karanga. E Tū Karamu, E Tū Whānau!